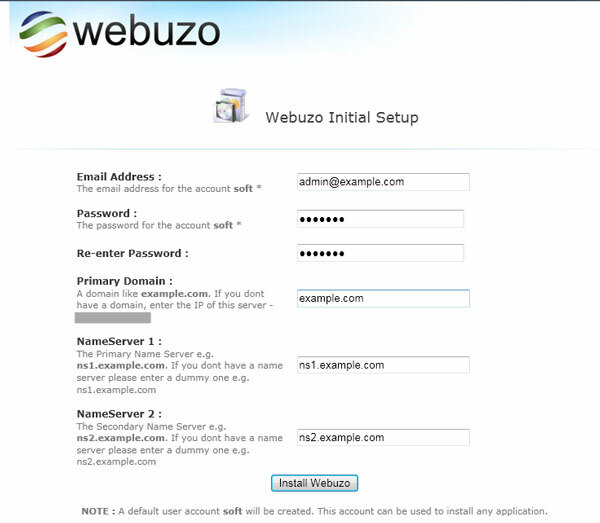 Webuzo is single user web control panel. You can deploy Web Apps (WordPress, Joomla, Drupal, etc) or System Apps (Apache, NGINX, PHP, Java, MongoDB, etc) on your virtual machines or in the Cloud. Nginx is a free, open-source, lite weight, high-performance web server and reverse proxy, as well as an IMAP/POP3 proxy server. Nginx is known for its high performance, stability, rich feature set, simple configuration, and low resource consumption. 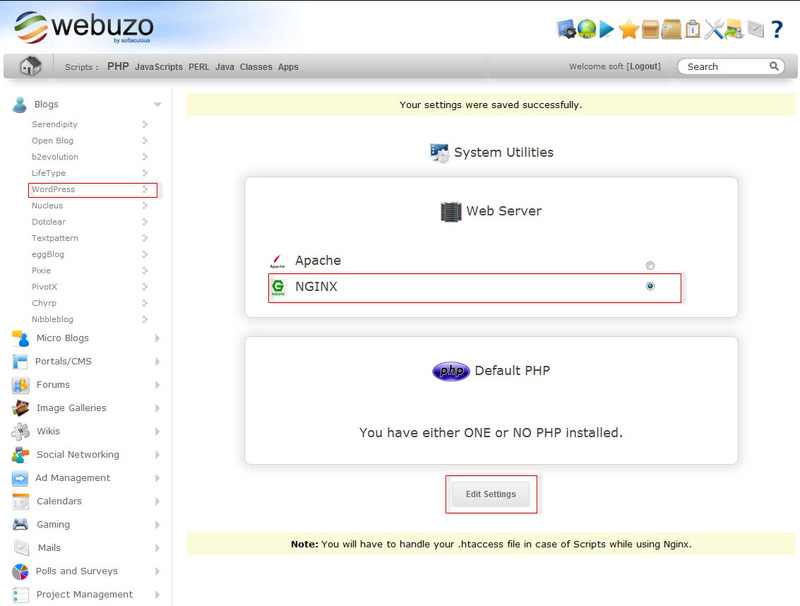 Webuzo control panel support nginx web server. Nginx will help us to mitigate performance. Here I will try to install webuzo, nginx and wordpress. We’ll face 404 not found message if we enable wordpress rewrite rules. Because nginx doesn’t support .htacess. So we need to fix the issue. I will show you how to use .htaccess rules on nginx server. Okay, first we will install webuzo on centos 6. Before we proceed to setup, we need to remove Apache from our server. Usually, Apache installed by default on the server conflicts with Webuzo’s Apache Binary located at /usr/local/apps/apache resulting in the “Internal Server Error”. The installation will begin immediately. After complete the installation you will see something like this. We need to complete initial setup now. Go to http://youripaddress:2004 and you will see like this. Now we need to switch from Apache to Nginx. 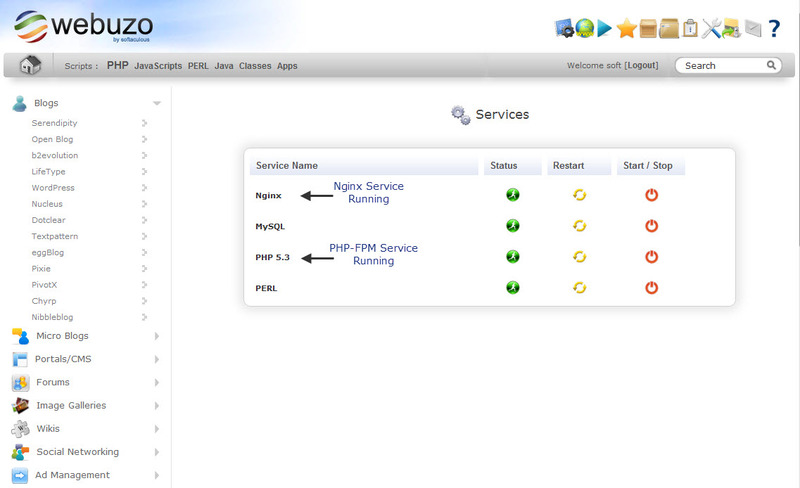 Go to System Utilities and select Nginx. Then click on the Edit settings button. Now complete the WordPress installation. After complete the installation we need to configure nginx for url_rewrite. We need to do it from ssh. Okay, lets edit /usr/local/apps/nginx/etc/conf.d/common to make wordpress run permalinks. Add the following codes end of the file. Now put wordpress permalink code on you .htaccess file. Completed our setup and configuration. In a word, outstanding tutorial, Easy to implement. Could you please paste the error? 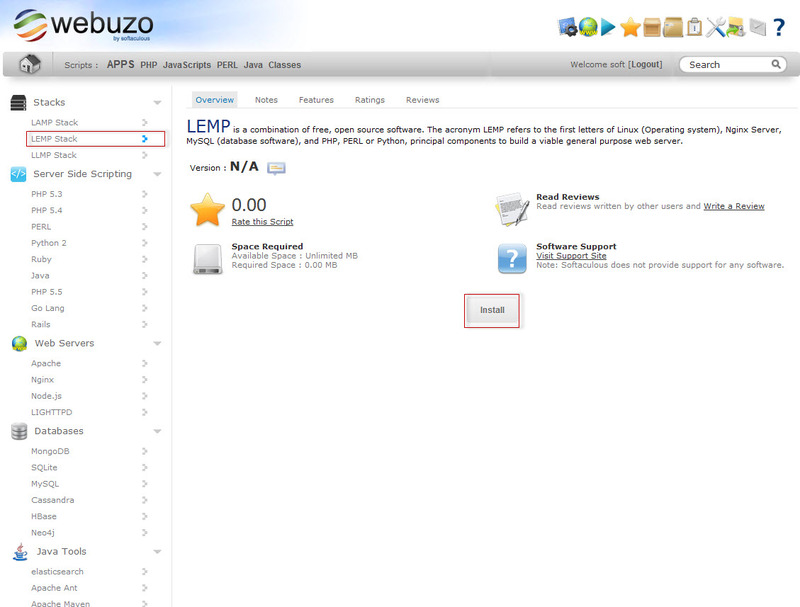 Used it again and it works, but do you know how to optimize so it uses less cpu?